I thought it was MDL 179, not MOL 179. Isle of Wight car originally and spent a lot of years in near Birmingham (Bromsgrove perhaps?). It changed hands about three years ago. Rob- it was a different one that was found in Stratford- that was TOL 660 which I was offered a few years back but turned it down. It's now owned by somebody named Russell in West Yorks. Yep it was MDL 179 and would of been a Fishbourne Garage Isle of Wight car, I don't know the exact date when Fishbourne started trading as a VW franchise but i'm guessing this could of been one of their first cars. I'm not sure when it was messed with as it looks pretty much stock in the video. Yep realised it was MDL not MOL when I got the Volksworld out last night. December 1995 and it's on the cover. I was right it's a 55 so 3 fold ragtop. I believe ULN 444 is still in West London. TYJ 970 is in E.Sussex (I drove past it this afternoon!!!). XDD 521 was purchased in recent years and slammed (search RW forum for more details). Don't know where MTR 900 is now, but I remember the story about it being 'unrestored' as being a bit questionable at the time. I think Chris Clarke still has MCG 120. IMG_6692.jpg (64kb) downloaded 50 time(s). IMG_6704.jpg (65kb) downloaded 49 time(s). IMG_6690.jpg (60kb) downloaded 43 time(s). 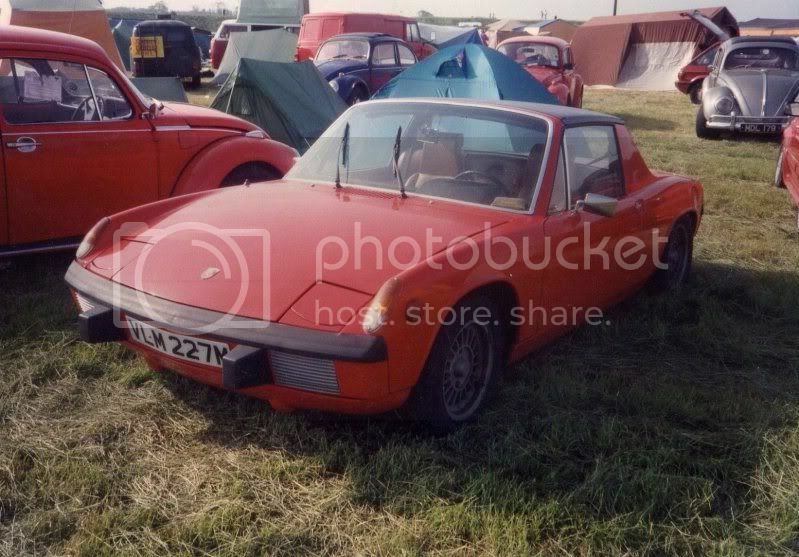 if you read the article that was in volksworld in the 90's, it says it was found in Stratford. now in Ireland. TOL was originally sold by Black and White in Harvington just up the road from stratford, then later found nearer to Bham. TOL 660 was found in Wychbold. 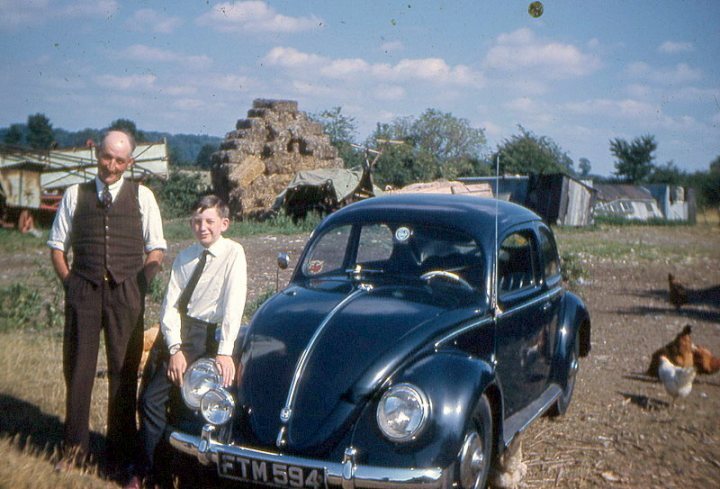 Im pretty sure this man must have been John Deveraux, as the bug appears fully restored by John in the book by Nigel Grimshaw 'The Volkswagen Beetle'. 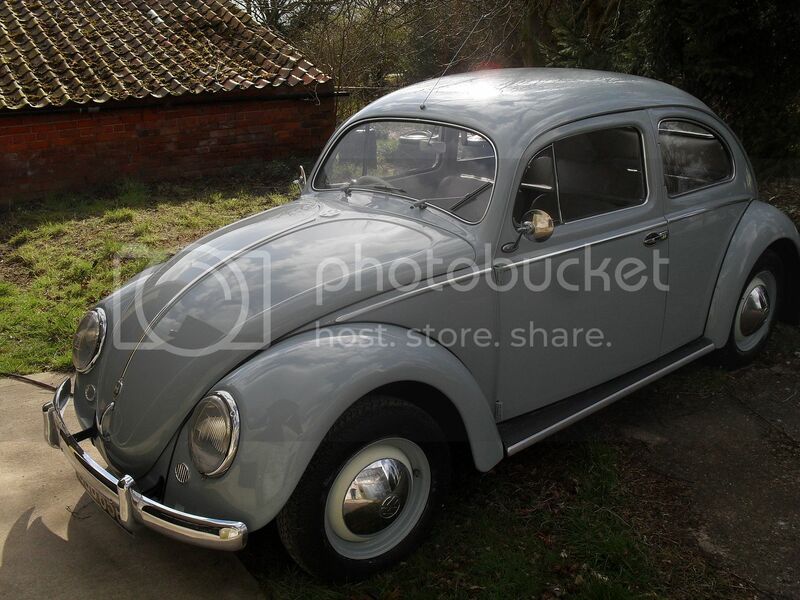 I would dearly love to find out how our old beetle is doing, the net hasn't been helpful up until now! The car is still very much around and on the road, although I'm not sure who owns it now. Does anyone have any contact info for the Isle of Wight car? Or knows anything more about it now ? Hello there I'am also an Island resident, unfortunately I believe MDL 179 was exported to Ireland where it would have lost it's original plate. Funny that this should pop up as recently I found a classified ad for the car in Safer Motoring from the 1980's, I shall try and take a copy. It's nice to see someone else from the Island on here and feels the same about bringing DL cars back home. Hello there I'am also an Island resident, unfortunately I believe MDL 179 was exported to Ireland where it would have lost it's original plate. If it ever came back to the UK from Ireland I believe it would be possible to get the original number back on the car. This happened to a 65 I had that went to the C.I. and came back. That's Correct What Martin Has Just Said ...... The Car Will Keep Its Original UK Number ! 10489917_750177015034610_5456463282845234830_n.jpg (37kb) downloaded 37 time(s). "April 11th 1956 Near Priddy on the Mendip Hills, North Somerset. 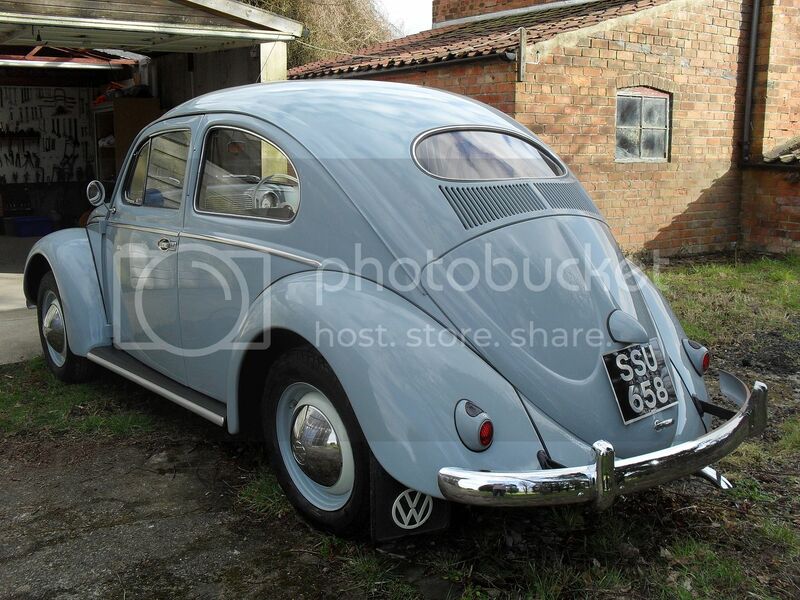 My Dad's 1946 Volkswagen Sedan bought the previous day for £255 from Messrs. Coventry and Jeffs of Clifton, Bristol. 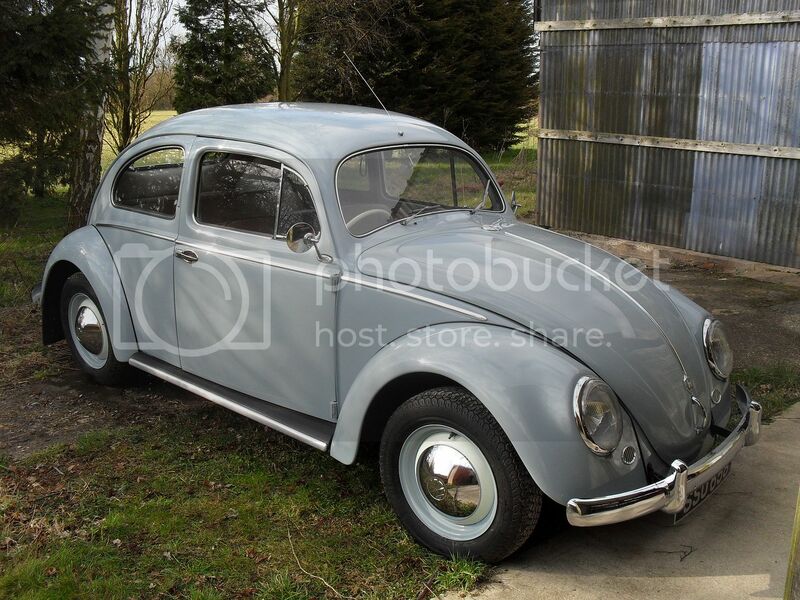 Originally built by the British Army personnel in Wolfsburg as they restarted the factory, it was bought by a UK Army Colonel who brought it back home to Luton in Bedfordshire in September 1947 when it was first UK registered. 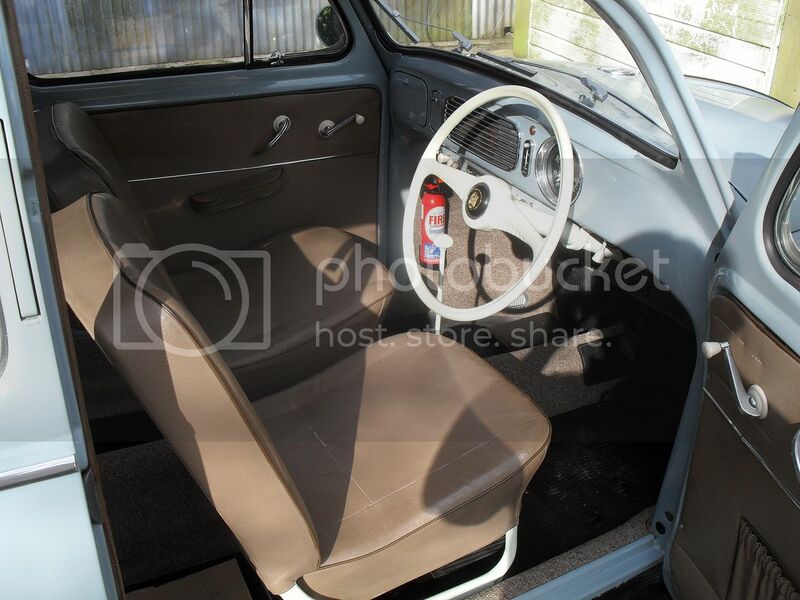 It was Dark Blue and had been given "Castle Earth" side panels..a mid green/grey colour...with grey vinyl seat upholstery rather than the standard cloth. 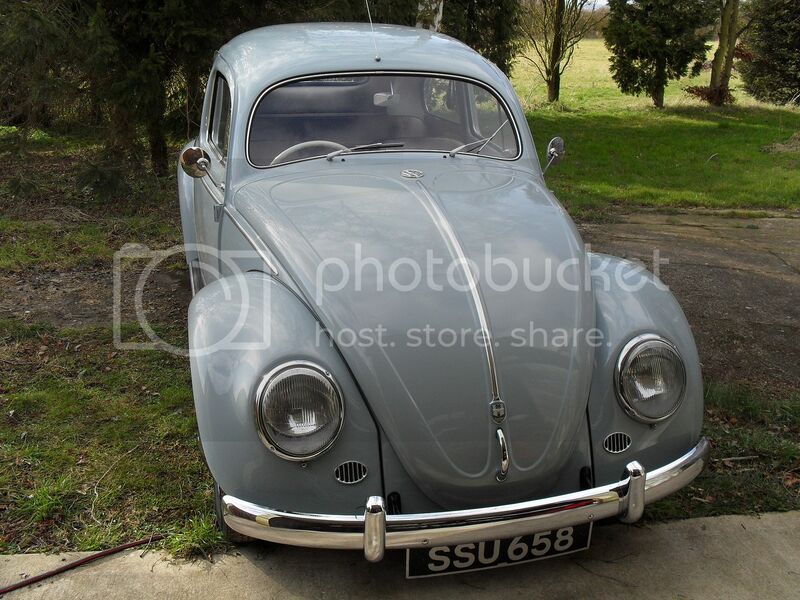 It also had been fitted with a new 1192cc engine in 1953 and then sold to a Mr Knapman of Saltford near Bristol. It's a long story but our VW links began in 1950 and continued in various ways until 1994 so split window VW's and 1954 Microbus's were a big part of my early motoring experience. There are dozens of stories but for now, I hope you like the picture..I'll post more soon." This is all from a guy called Richard Leaman. I'll be seeing you all at Stanford Hall for the first time in 25 years !! 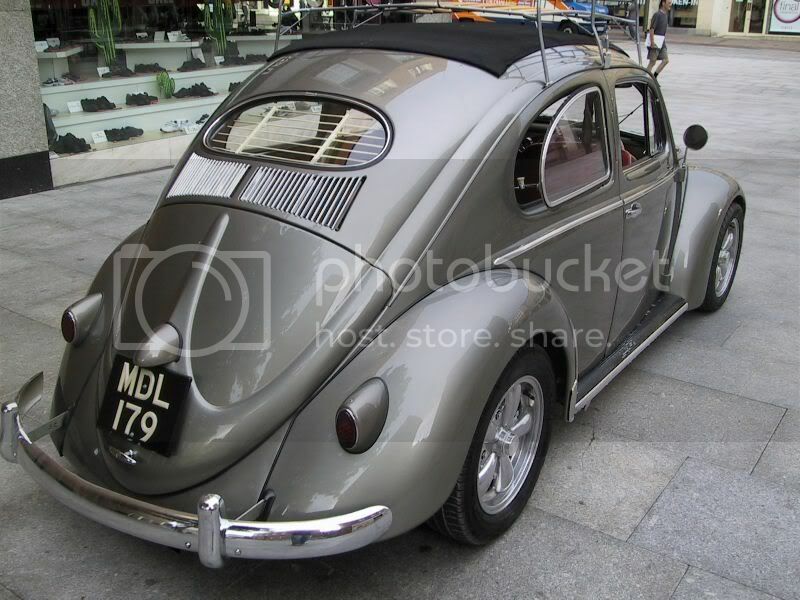 I owned MDL 179 from about 1994 to 1997 including when it was featured in VolksWorld magazine. I was sitting with it at Stanford Hall when Ivan from the magazine told me he wanted to feature it! A very exciting day! It was a 1955 car so had the ribbed doors, straight gear stick and the bat wing wheel. It also had motometer gauges too! I bought it from a girl in her late 20s who lived in Tiddington just outside Stratford Upon Avon for £4750 in 1994. It was in great condition, just the engine tinware was a bit ratty, the seat frames and steering wheel in need of restoration and the wheels were a bit sorry. It had radials with white wall flaps squeezed in them! That's how it appeared in that Bug Jam video. Wow, the 90's fashion looks pretty distinct! I had the wheels redone in cream with beauty rings and propper white wall crossplys fitted. Changed the US Spec bumpers for Euro. The had seat frames powder coated (One of them was in poor condition though, did anyone ever replace them?) and the steering wheel resprayed. I cleaned the engine up and freshened the tinware with a lick of paint. 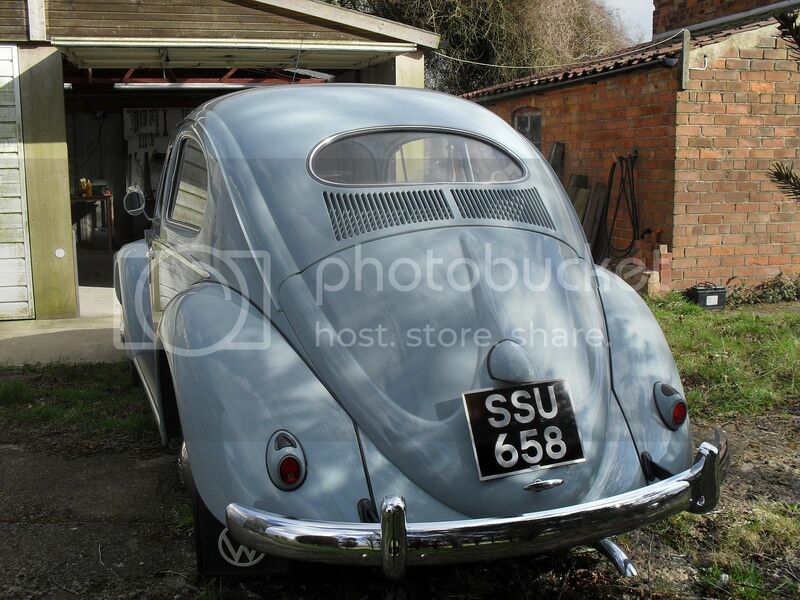 It had major inner quarter welding done under the rear seat just before I sold it. We ended up using plate under the battery pan, I always hated the fact it wasn't a pressed piece! I think it would have been due some front heater channel work soon after? 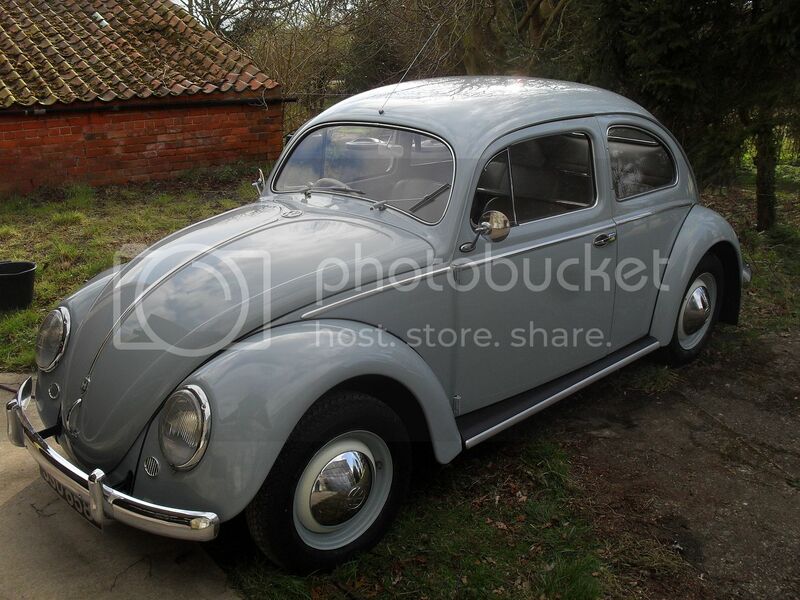 I sold it on in 1997 for around £4200! It wasn't easy to sell either! I had a lot of time wasters! I wonder what it's worth now had I kept it? The guy who bought it was a real enthusiast. Young lad who owned the white mid sixties bug that had just about every accessory fitted! I have a pile of pictures in a folder somewhere that I'll have to dig out.